On 2 May, the National Capital crossed the 43 degree mark to record the hottest day of the year so far. 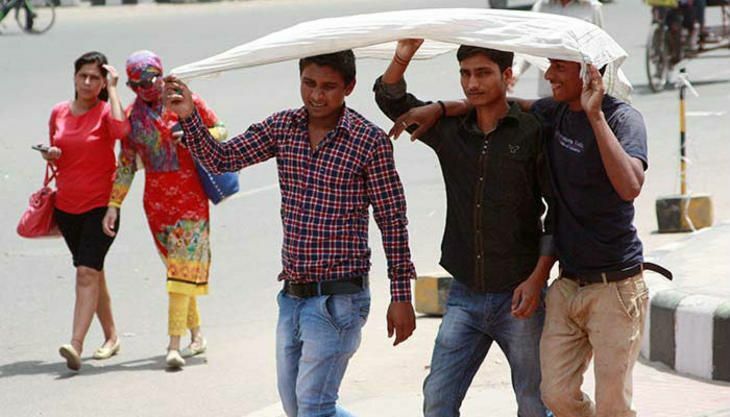 A meteorological department official was quoted as saying, "The maximum temperature was recorded at 44 degrees Celsius. It is the hottest day of the season so far." The minimum temperature settled at 23.8 degrees Celsius, a notch below the season's average. According to a MeT department official, relative humidity was recorded at 21 per cent at 8:30AM. The Met office has predicted partly cloudy skies along with the possibility of a dust storm or thunderstorm towards evening and night.